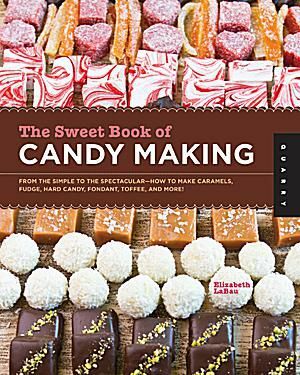 Author of a candy cookbook "The Sweet Book of Candy Making"
Elizabeth LaBau is a former writer for Spruce Eats where she published nearly 600 articles over the course of more than 10 years. Her culinary career started at Epicurean School of Culinary Arts in Los Angeles, where she completed the Professional Baking and Pastry program. After working for years as a pastry chef in various bakeries and restaurants, Elizabeth transitioned to food writing and candy recipe development. She now works full-time developing recipes, photographing food, and eating way too much sugar on a regular basis. Her work has been published on Better Homes & Gardens, OhNuts.com, Velata, and many more. Elizabeth also has an award-winning dessert blog, SugarHero, where she posts all of her non-candy creations. Elizabeth attended the Epicurean School of Culinary Arts in Los Angeles, where she completed the Professional Baking and Pastry program.